Whilst being stabbed in the back by his adoptive sun Brutus, the most famous Roman emperor Julius Caesar is historically reported to have stated “Et tu, Brute?” surprised that those nearest to him had left him first. 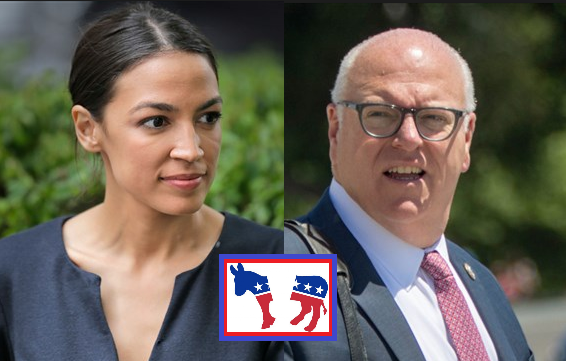 This must have been the feeling of progressives in the Democratic party of New York when former DNC Chairman Mr Howard Dean confirmed in a tweet that congressman Mr Joe Crowley, defeated by progressive Ms Alexandria Ocasio-Cortez, would indeed be on a list in New York come fall elections. In other words, the Democrats will rather let their preferred candidate be on another list instead of peacefully yielding to what the general public in their congressional district voted for. If the progressive left ever wanted to know whether the Democratic party changed ever since stealing the presidential nomination from Mr Bernie Sanders and handed it to Ms Hillary Clinton, your answer is right there. The Dems have opened quite the can of worms with this one. Dividing the vote means the Conservative stands a better chance of winning. eg. Bernie vs Hillary against Trump. If the progressives think the Dems are ready to give up…. keep on dreaming!! !